Many dresser tops sustain needless damage from scratches, water stains and heat, or fading and discoloration from sunlight or ultraviolet rays. Protecting this innocently abused area from such damage prolongs the dresser's attractiveness and helps retain its value. Ways to save your dresser's surface include super-simple coverings and more involved methods. Choose the one that suits your style preference or refinishing strengths. If you favor antiques over modern furnishings, use doilies under accessories to protect your dresser top from scratches. Slightly overlap and stagger a row of different sized, different patterned doilies for a haphazard, shabby chic-style effect. 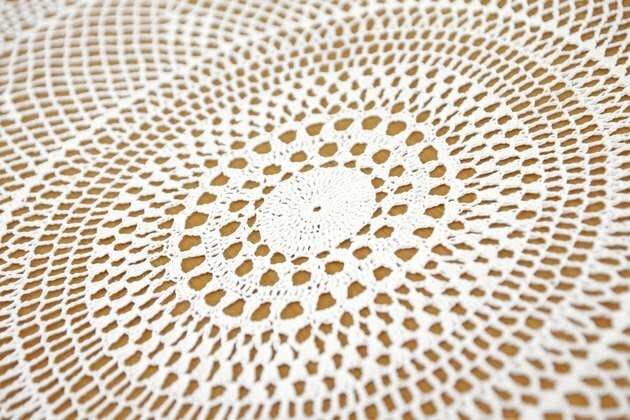 If doilies don't fit your design scheme, look at contemporary alternatives. Table runners aren't just for dining tables; lay one across your dresser. Two or three rectangular or circular place mats or a few coasters create sectioned areas for a jewelry box, alarm clock or vase, for instance. A revolving tray is a handy holder for scratchy jewelry, a collection of oily perfume bottles or any other small but potentially damaging items. Think of tiles as trivets for trinkets, a damp water glass or hot coffee cup, your hair-styling appliances and other items you regularly set on the dresser. Use ceramic, granite, slate or marble tiles, depending on your style sensibilities. Choose tiles in various sizes -- 4 inches square, 12 inches square, rectangular -- if you want allover, mosaic-like coverage. Cut them to fit the top's dimensions, as needed. 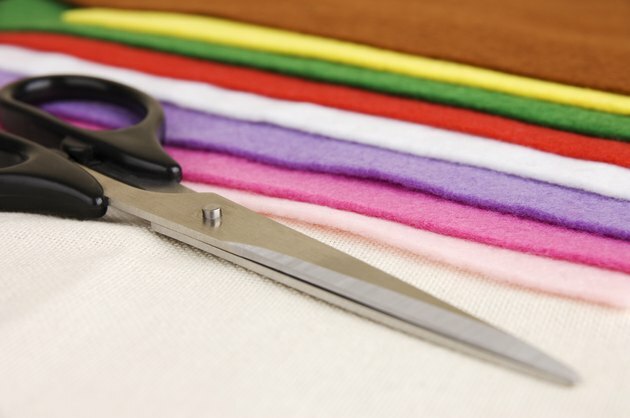 Protect the dresser top from the tiles with a custom-sized felt pad or by sticking a few small felt pads under each one. You don't necessarily have to hide your dresser top to protect it. Put peel-and-stick felt pads under everything that sits atop the dresser to keep the top scratch-free, and the look streamlined. Alternatively, instead of putting felt "feet" on everything, protect the dresser with a piece of clear glass cut to size. It allows you to see the top while protecting it from spills, scratches and -- if the glass has ultraviolet protection -- sunlight. If the dresser top is rounded or angles out at the edges, have the glass cut just big enough to cover the flat area. That way, it won't overhang, making it practically invisible and less likely to be knocked out of place. 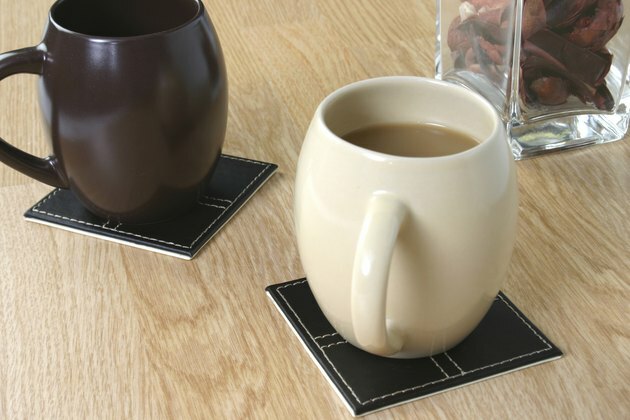 Choose glass that's finished with smooth, rounded edges for obvious safety reasons, and set it on felt or rubber circles at the corners. For a new unfinished dresser or an old dresser with a worn exterior, a protective topcoat finish provides a slight moisture, UV-ray and scratch barrier. 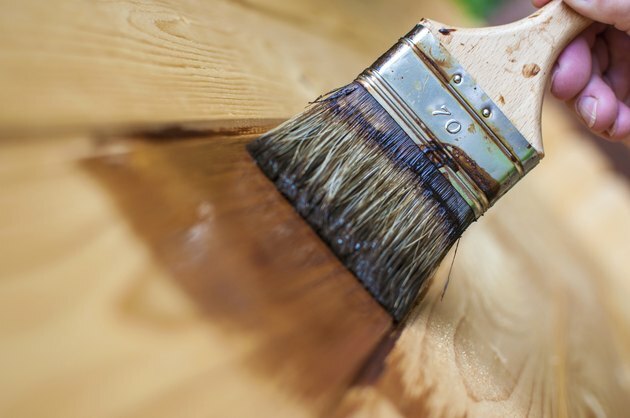 After removing any old finish, apply water-repellent, UV guard sealer, paste wax or paste filler for natural translucency, or use a ready-mixed filler stain or tinted sealer for color. It's difficult to match finishes, so if you don't want to finish the entire dresser, redo just the top in an obvious contrasting color for interest. Wood lacquer or glass epoxy resin can produce a thick, glass-like finish. If the dresser is already finished and in good condition, simply clean and then lacquer the top, following the finish label's instructions -- which may suggest a light sanding.